Stewart Stevenson MSP, Minister for Transport, Infrastructure and Climate Change, was the guest of honour at a private reception organised by The Institute of Chartered Foresters (ICF) and Commonwealth Forestry Association (CFA) during the 18th Commonwealth Forestry Conference on 29 June 2010. Speaking about the vital impact the forestry sector has in tackling climate change, the minister addressed over 80 commonwealth forestry conference delegates and guests at the Edinburgh International Conference Centre. Guests included renowned environmental film-maker John Liu, and Tim Rollinson FICFor, Director General and Deputy Chair of the Forestry Commission. During the reception, the ICF formally presented an Honorary Fellowship of the Institute to Mike Dudley, Head of International Policy in the Forestry Commission, and the Medal of the Institute to Chris Starr MICFor of the University of Cumbria for his services to forestry. It was once world- famous for its weaving and the pattern named after it – but today few people would think of going to Paisley to buy a designer suit or a couture dress. That, however, could all be about to change. After years of decline, as shoppers deserted the historic high street for the nearby Braehead and Silverburn shopping centres, council leaders in the Renfrewshire town are making an unusual move in a bid to bring life back to town’s empty shop. 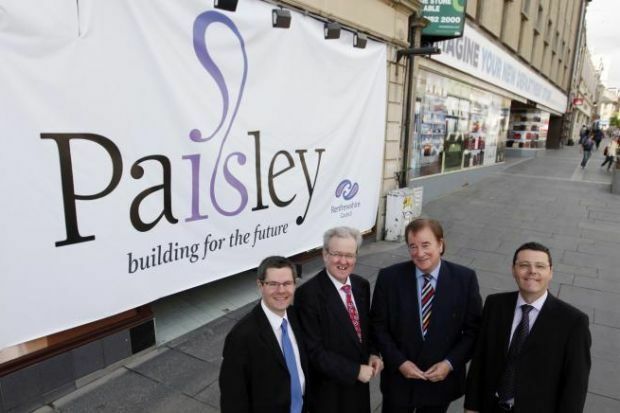 Paisley is bidding to become to the UK’s first discount outlet town as Renfrewshire Council and the Scottish Government launch a drive to attract big name retailers back to the ailing high street. The council has hired commercial property company Colliers International to attract top stores to open outlet branches in the vacant units in the town centre. Marks & Spencer opened a discount outlet in the town 18 months ago and it has proved a success. “We have got an M&S outlet, the performance of which has been really successful. Colliers will target potential retailers and encourage them to open outlet stores similar to those at MacArthur Glen in Livingston. Outlet stores offer brand name goods at a discount, sometimes up to 70% off the recommended retail price, by selling discontinued lines or fashion items from previous seasons. The Paisley project is part-funded by the £1.8 million Scottish Government’s Town Regeneration Fund and involves doing up empty shops involves doing up empty shops with false fronts in a bid to highlight their potential to retailers. “This is the first time in the UK an innovative concept like this has been introduced to a traditional high street. “We are doing all we can to revitalise Paisley and although retail is only part of what makes a vibrant town centre, it does play an important role in attracting people. With many shops in Paisley High Street having lain empty for several years, some for as long as seven years, the council has acted to help private landlords sell or lease their properties. The council will foot the bill for the false shopfronts – £14,700 for the six-month project – and is offering support packages to landlords to fast track the process. “Many of our high streets have been run down in favour of out-of-town shopping. A £3.9 million plan to increase cycling numbers and have 10 per cent of all journeys by bike by 2020 was unveiled today. The Cycling Action Plan for Scotland aims to expand cycle routes across the country and improve cycle training in schools. Transport Minister Stewart Stevenson published the plan while opening a newly completed section of the National Cycle Network between Kincardine and Culross in Fife. "Scotland has the toughest climate change legislation anywhere in the world and as our climate change delivery plan made clear we need to decarbonise almost all road transport by 2050. This means persuading more motorists to get out of their cars and getting more people to cycle - that's why we have set the challenging target for 2020 that 10 per cent of all journeys taken in Scotland be made by bike. "As a result of our cycling plan almost £4 million will go into building new cycle routes and improving cycle training. I am confident that as we improve the delivery of cycle training in our schools and construct new cycle routes like the one I've opened today in Fife that we will achieve our 2020 vision. "The Scottish Government is making a record £31 million investment in sustainable and active travel this year. This includes the 10 million pounds we are investing, along with five million pounds from local authorities, over three years to create seven sustainable travel demonstration communities which will showcase a range of sustainable transport initiatives, from Dumfries to Kirkwall." "I welcome the launch of CAPS and its ambitious vision and practical monitoring programme. Its target of a ten per cent modal share for cycling is completely achieveable and, most importantly, vital if we are to address issues such as health and energy depletion. But such targets need financial commitment and we are pleased to hear that funding has been allocated to make this aspiration a reality. We look forward to seeing more such leadership in future years and hope others will follow this example". "We welcome the publication of the Cycling Action Plan in Bike Week, and are particularly pleased to see the prioritisation of cycle training in schools across Scotland. The publication of CAPS is the first part of the process in making our cities, towns and villages more cycle friendly and our nation healthier and fitter." Banff & Buchan MSP Stewart Stevenson has welcomed the Scottish Government’s latest efforts to provide opportunities for young people leaving school and college this summer to develop their skills. The Scottish Government has announced £6.5 million to put in place 2000 Modern Apprenticeships which come with a £1,000 incentive for employers, 800 new vocational training places, 1,000 structured volunteer placements, a £400,000 initiative to provide young people with entrepreneurial training and a Graduate Placement Programme which aims to find business placements for 720 graduates over the next three years. These measures come on top of an extra 4,100 full-time equivalent college places that have been put in place for next year and a further 5,000 additional Modern Apprenticeships. “As many pupils and students in Banff & Buchan come to the end of their studies, the Scottish Government’s announcement of further support for young people could not be more timely. In these difficult economic times, it is more important than ever that young people are given the support they need to start their careers or undertake further training. “The SNP Government has reversed the previous administration’s woeful record on college places and apprenticeships and provided vital options to young people. “Young people and their parents in Banff & Buchan will no doubt welcome this latest announcement and I welcome the positive impact it will have for thousands of people across Scotland”. Minister for Transport, the Environment and Climate Change, Stewart Stevenson MSP has officially opened the Turret Water Treatment Works (WTW) upgrade. The £30 million investment will see the delivery of clearer, fresher drinking water to thousands of Scottish Water customers in communities from Perthshire to Stirlingshire, Falkirk and Clackmannanshire. "I was delighted to visit Turret Water Treatment Works and open this newly upgraded £30 million facility, which was delivered as part as part of the Scottish Government's 2006-10 investment programme in Scottish Water. "This is just one of many projects being delivered that will help bring cleaner and fresher drinking water to more than four million people across Scotland. "I'm pleased to see Scottish Water doing its bit in the fight against climate change with the introduction of a new hydro turbine at Turret which will produce enough green energy to power 450 homes." Turret is the highest water treatment works in the UK and the site is often battered by winds in excess of 60 miles per hour. While it has often presented a bleak environment, during the summer months it has certainly offered one of the most beautiful locations to work in Scotland. Scottish Water and construction partner GMJV have incorporated not only the latest thinking in water treatment with the pioneering Actiflo system, but have also used ‘green’ thinking during the 2 year programme of work. A new hydro turbine that will generate ‘green’ electricity. The 25 year old turbine will be replaced by a modern, more efficient turbine, capable of generating 500 kW. A second turbine station, located on the hillside is capable of generating a further 1400kW. Combined can not only power the works, but deliver enough electricity back into the national grid to power 450 homes. The project began with 9,000m3 of rock being excavated. In order to reduce lorry journeys and the site’s environmental impact, this was crushed on site and reused in the construction programme. The location of the WTW, 1,000 feet above sea level allows Scottish Water to supply customers in Perthshire, Stirlingshire, Falkirk and Clackmannanshire with clearer, fresher drinking water using the force of gravity, replacing the need for energy-sapping pumps. “From the outset our thinking has always been ‘green’. It was important to the delivery team that the Turret project wasn’t only an exercise in civil engineering, but environmental management. We have been blessed by the location of the works, the highest in Scotland; it is perfectly placed to supply the communities its serves using the natural force of gravity, rather than energy-sapping pumps. Construction of the water treatment works has incorporated much of the latest thinking within the industry, including the use of the Actiflo treatment process, a first major installation for Scotland. The new Actiflo treatment process injects sand into the raw water supply, helping to better promote the settlement of minerals and materials. This will help to make the raw water even cleaner before it reaches the final settlement stages. This new process will allow the works to run to maximum capacity, even during times of extreme weather, at around 85 million litres per day. In order to maintain the treatment process all six rapid gravity filters have also been refurbished. This allows raw water to be treated quickly and efficiently. A new 2.5 million litres processing tank has been constructed to improve the treatment process at the site. “In 2008 Her Majesty the Queen officially opened the new Milngavie WTW serving Greater Glasgow, and now in 2010 we have Minister Stewart Stevenson opening the upgraded Turret works. Turret is every bit as significant to our customers across Perthshire and the Forth Valley as Milngavie is to Glasgow. Increasing capacity at the water treatment works has allowed Scottish Water to remove the Touch Water Treatment Works (WTW) from operation. This not only means that our customers in the Forth Valley receive the highest quality drinking water available, using the latest treatment processes, but will help us to increase efficiency and reduce the running cost involved in providing clear, fresh drinking water to communities across the region. The Touch Water Treatment Works, which currently serves Stirling, was removed from the network and closed in 2009. This has since been transformed into a pumping station. The area previously served by the works will now be supplied by the improved Turret WTW. Scotland's roads are the safest for 60 years, according to new statistics. The reported number of deaths on Scotland's roads fell last year by a fifth to 216 and the total number of casualties fell by four per cent to 15,013 - the lowest since 1949. "This is a welcome drop to the lowest number of casualties for 60 years, continuing the downward trend witnessed in recent years. "While progress in cutting casualties is evident and we have again exceeded the GB targets to reduce deaths and serious injuries, we continue to do everything we can improve road safety. "The number of deaths, and in particular those of children, fell last year. This is an area on which we have particularly focused over the last three years and we'll continue to work with schools, councils and the police and other partners to minimise the number of children and young people involved in road accidents. "Our 10 year road safety framework for Scotland includes an ambitious programme of new education resources, the use of new technology to cut speeding and drink driving and action on school bus safety. It will, I am confident, save even more lives over the next decade. "We have a vision of no road deaths and, working with road safety professionals, see no reason why that ultimately cannot happen." The Road Safety Framework sets distinct and challenging targets for reductions in road casualties in Scotland over the decade from 2011, after the end of the current GB targets. These are the first ever Scottish road safety targets - for a 40 per cent reduction in fatalities; 55 per cent reduction in serious injuries; a 50 per cent reduction in children killed and 65 per cent reduction in children seriously injured based on the 2004-2008 average. A £750,000 contract to refurbish the A9 Cromarty Bridge, near Dingwall north of Inverness has been awarded, Transport Minister Stewart Stevenson announced today. The three month contract, which will be undertaken by Freyssinet Ltd on behalf of Transport Scotland, includes concrete repairs to four spans at the south end of the bridge. Additional repairs and corrosion prevention treatments will also be carried out before the four spans are resurfaced. This trial contract, expected to get underway in July, is part of the preparation for the eventual refurbishment of all 68 spans in future years. “This key north of Scotland route serves the communities up to Thurso and to the ferry terminal at Scrabster for Orkney and Shetland and beyond. That is why we have provided this significant initial investment as part of a longer term strategy to refurbish the entire bridge over the coming years. The A9 north of Inverness is a vital link in Scotland’s strategic road network and this 30 year old bridge now requires refurbishment to ensure it remains in top condition for years to come. This section is used by over 10,000 vehicles daily, and once completed, this investment will benefit motorists by maintaining a superior, safer and more reliable route. A major civil engineering operation for the M74 Completion project is now underway in Glasgow. The largest mobile crane in Europe is being used to erect massive steel beams for a road bridge over the River Clyde. The Auchenshuggle Bridge will carry both carriageways of the new M74 over the river when it opens next year. This bridge is the only one of the 13 major structures on the new motorway that crosses over water. “The commencement of steel erection for the Auchenshuggle Bridge is another significant milestone in the construction of the M74 Completion project. The fact that Europe’s largest mobile crane is needed to carry out the work shows what a complex civil engineering operation it is. “Together with the recent erection of steelwork for the Rutherglen Station bridge and the ongoing second launch of the Port Eglinton Viaduct, the work on this bridge is another major step towards completion of the project. The public can be assured that this project to complete the missing link between the existing M74 and the M8 is on schedule for opening next year. “The M74 project, one of the largest construction projects on the ground in Scotland at present, is already providing vital jobs and investment for the hard pressed construction industry. “Marrying these benefits to the new transport links the M74 Completion will bring, when it is completed next year, and the enormous potential for further urban regeneration programmes in the area, many of which are already in development, underlines the importance of Scottish Government investment in our transport infrastructure. During his visit, the Minister also met pupils from Cairns Primary School in Cambuslang. Pupils from the school have been taking a keen interest in the construction of the bridge and, assisted by Interlink M74JV, have been visiting the bridge site regularly to investigate issues associated with construction, transport and the local environment. “This is yet another example of the outstanding engineering work which has been going on throughout the course of the M74 Completion project. People can now really see the road taking shape before their eyes and I look forward to the positive impact it will have on reducing journey times throughout the west of Scotland. “The jobs the project has provided, many of them for local people, have been very welcome in the current economic climate. Scotland's action to transform to a low carbon economy has been highlighted to Europe as a leading example of climate change. The Environment Council in Luxembourg today heard how setting tough emissions reduction targets in Scotland is providing the stability for additional investment in low carbon industries. Climate Change Minister Stewart Stevenson this morning met Secretary of State for Energy and Climate Change Chris Huhne to agree on the economic case for setting a Europe wide 30 per cent greenhouse gas reduction target. They also discussed carbon capture and storage and the forthcoming UK Energy Bill. In a meeting with Ms Lykke Friis, Danish Minister for the Climate, Energy and Equal Rights, Mr Stevenson discussed co-operation opportunities with Denmark in offshore renewables, environmental planning and wind energy. The Scottish European Green Energy Centre in Aberdeen will follow up these discussions up with Danish counterparts. "Scotland's ambition is already setting an example internationally to cut emissions and it is important to take every opportunity to reinforce the message that a low-carbon Europe is feasible, affordable - and ultimately unavoidable. The Environment Council has today heard our case that moving beyond the current 20 per cent emissions reduction target for 2020 is fundamental for European leadership in this area. "We are working closely with the UK government and others in Europe to put the case that investment in low carbon technologies and industries can bring new opportunities for economic growth." "This is a new start, with the UK Government and Scottish Government working together in making the economic case for going low carbon, including cutting EU emissions by 30 per cent. "I had a very constructive first meeting with Stewart Stevenson before the EU Environment Council where we agreed on the advantages of taking early action. As I saw in Aberdeen recently, Scotland is already benefiting from the low carbon move, in particular with its renewable industry." A review of ferry services in Scotland has been published by the Scottish Government today. The review was a commitment within the 2006 National Transport Strategy (NTS) and will inform the preparation of a long-term ferries plan for lifeline services to 2022. "This Government is committed to delivering essential ferry services that support the needs of our remote and island communities. "Scotland's ferries play a key role in providing access to vital services and enabling economic development in our island and remote rural communities, and ferry links to these communities must be an integral part of Scotland's transport network. "As a Government, we recognise there will be a range of views in local communities about the future of ferry services and we want those views to be heard as part of this review. We will be carrying out an extensive programme of consultation events around the country and I would encourage as many people as possible to take part as local opinion will be vital in designing the ferry services of the future. "We are determined to improve transport links across Scotland so that communities and individuals can make the fullest possible contribution to economic recovery and help secure future sustainable economic growth." "Ferries form a lifeline service to our island communities and their economies. The results of this consultation will help shape our approach to how these are maintained and improved over the next decades. "It is vital that stakeholders do take part so that the new strategy is well informed by peoples' views and needs." Banff & Buchan MSP Stewart Stevenson has called upon post offices in Banff & Buchan to take part in the Scottish Government’s consultation on how funds from the new £1 million Challenge Fund should be used to help local post offices diversify and improve their businesses. Applications for between £2,500 and £25,000 will open for post offices after the summer, following the conclusion of the current consultation. “By diversifying their business and attracting more customers, post offices across Banff & Buchan will be better placed to cope with the economic challenges they face and continue to play a critical role at the heart of their communities. The consultation will run until 9 July 2010, with application forms expected to be published on 21 July 2010 with a deadline for completed applications in the autumn. The operation to complete the second and final launch of the largest bridge on the M74 Completion project has now begun in Glasgow. Earlier this year the westbound carriageway of the Port Eglinton Viaduct was launched across the West Coast Main Line, local rail lines and a number of roads. Now, in an identical exercise, the eastbound carriageway will be pulled across Salkeld Street, the West Coast Main Line and local rail lines, Eglinton Street and Devon Street. The Port Eglinton Viaduct is part of the work going on to complete the missing link between the end of the existing M74 at Fullarton Road and the M8 southwest of the Kingston Bridge and is the largest of 13 structures along the route of the new motorway. The spans for this section of the viaduct are being launched into place rather than being placed by conventional crane lifts due to their length. The launch will be undertaken in a nightly two hour window when trains are not running, avoiding disruption to train services. 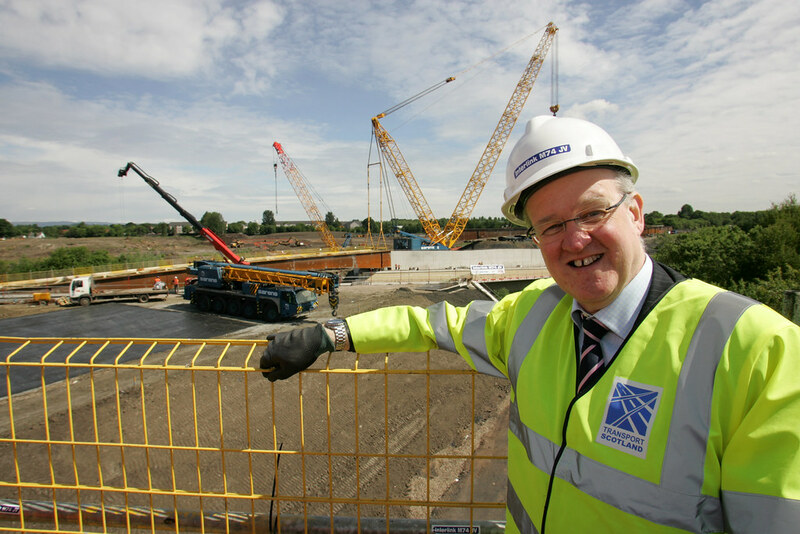 “This is a significant milestone in the M74 Completion project. “The work to complete the missing link between the existing M74 and the M8 is moving on apace and the structures to support the new road are now visible across Glasgow. “The M74 project, one of the largest on the ground in Scotland at present, is already providing vital jobs and investment to the hard pressed construction industry. “Marrying these benefits to the new transport links the M74 Completion will bring, when it is completed next year, and the enormous potential for further urban regeneration programmes in the area, many of which are already on the ground, underlines the importance of Scottish Government investment in our transport infrastructure. "It is clear for all to see that this project is progressing at great pace. Its development is a crucial part of the West of Scotland's infrastructure and will bring with it significant benefits for the local and national economy as well as the people living there." Scottish Transport Minister Stewart Stevenson today (Tuesday, 8 June ) launched the new SPT MyBus service at Ayr's iconic County Buildings. MyBus is the new name for SPT's Demand Responsive Transport (DRT) services - formerly known as Dial-a-Bus and Ring'n'Ride. The name was chosen to unite these two popular services while emphasising their on-demand nature. Passengers using the South Ayrshire MyBus services will travel on brand new state-of-the-art buses. The Tucana model buses are manufactured in the UK and are low floored, fully wheelchair accessible, fuel efficient and environmentally friendly. Each bus has seating for 14 passengers with space for three wheelchairs. Additional space can be made for wheelchair users by folding back seats. This avoids a return journey to the bus depot to have seats removed. "I was delighted to have the opportunity to visit Ayr today and launch this new service which builds on the success of the previous Dial-a-Bus and Ring'n'Ride service. "This vital service makes a real difference to the communities it serves and I would encourage those in Ayrshire and across the whole of the Strathclyde area who have difficulties using conventional bus services to take advantage of this excellent facility." "We're marking the 21st anniversary of our popular DRT services with a new name and new eye catching orange livery. "South Ayrshire is the first area to have the new look MyBus service and I hope we'll encourage new users to consider using it. "MyBus is open to people who have difficulty using public transport due to disability or age. People shouldn't think it's only a service for the elderly, or for those living in rural areas poorly services by public transport. "It's more than that. If you have a temporary disability, like a broken leg MyBus could be the answer for you and it's only a phone call away." The investment of £1.5million to expand its fleet underlines SPT's commitment to driving up the quality of vehicles for passengers. The new buses are highly visible, with a distinctive bright orange livery. It is an important part of SPT's Step Change for Buses to drive up the quality of vehicles at an affordable price to the public purse. By supplying the vehicle and leasing it to the operator, passengers are assured of journeys on the latest low floor model buses that are environmentally friendly and fuel efficient. "I'm delighted to welcome this important initiative which will be of huge benefit to residents in outlying and rural communities. "Public transport in these areas is a lifeline for many people and connecting them with an on demand bus service offers a transport solution that will make lives easier, journeys simpler and provide maximum benefit to those who use it." 435,000 passenger journeys are provided by SPT demand responsive transport services each year. SPT has a fleet of 68 modern, low floor fuel efficient vehicles in a range of sizes to match route requirements. A £10 million contract to strengthen the M8 White Cart Viaduct was announced today by Transport Minister Stewart Stevenson. The 12 month contract, which will be undertaken by BAM Nuttall on behalf of Transport Scotland, includes strengthening, maintenance and refurbishment works on the current bridge. The work is set to start this summer and will extend the life and reliability of the viaduct for years to come. “I am pleased to announce the award of this £10.6 million investment to bring the M8 White Cart Viaduct in line with today’s traffic demands. “The M8 is a vital link in our strategic road network, and this bridge is now over 30 years old and requires strengthening to bring it in line with modern standards. This section is used by over 80,000 vehicles daily, and once completed these improvements will benefit motorists with a superior, safer route. The works, which will strengthen girders, replace the eastbound carriageway expansion joints, install new lighting and improve drainage, will mainly take place inside and underneath the bridge. When finished, the 40mph speed limit, which was established with the narrow lanes in 2007 to reduce the effects of extra weight on the bridge, will also be lifted and the original lane markings reinstated over the viaduct. These works to strengthen the viaduct complete a detailed programme of assessment and investigation of the supporting steel superstructure. The design will extend the life of the viaduct to support traffic for the foreseeable future and enable the work to be carried out whilst the viaduct remains in service for traffic. 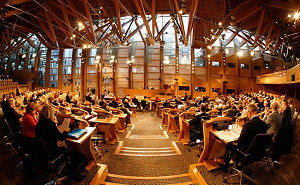 Banff & Buchan MSP Stewart Stevenson has today (Thursday) hosted P7 pupils and their teachers from Mintlaw Primary on a visit to the Scottish Parliament. The class were able to put their questions to Stewart Stevenson on a diverse range of topics and learn more about how the parliament operates. “I was delighted to be able to welcome pupils from Mintlaw Primary to the Scottish Parliament and answer the wide range of questions they had about my role as their MSP and the work that goes on here. “I always enjoy being able to help pupils from Banff & Buchan visit the parliament to learn more about the Scottish political system and how the decisions taken in Holyrood affect their lives. Banff & Buchan MSP Stewart Stevenson has welcomed the publication of quarterly statistics which show that there are now 1,175 more police officers protecting Scotland's communities than there was before the SNP came to power. In Grampian the latest figures show there are now 1,550 police officers, an increase of 176 since the previous administration. "Before the election the SNP promised to recruit 1,000 extra police officers in order to drive down crime and make our communities safer places for everyone. With the latest figures showing that there are now 1,175 more bobbies on the beat, we have both surpassed our target and gotten there ahead of schedule. "There is no substitute for having more police officers out on patrol across Scotland and I know that people in Banff & Buchan welcome the more visible police presence that having more officers makes possible. "With more officers Grampian Police are better able to drive down crime and make our local communities safer places to live, so these figures are extremely good news for people in Banff & Buchan"